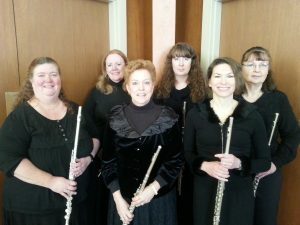 The WCA will host a fall concert series beginning with the Lake Sunapee Area Flute Choir on Saturday, September 24. The free concert will begin at 7 p.m. at the Association’s Red Barn, 64 Village Road in Wilmot. The Flute Choir began with six flutists in the fall of 2013 and has grown to eleven performers. While focusing on classical music, the group often adds a lively show tune or ballad to their concert mix. The group performs ten to twelve times each year for audiences in the Kearsarge/Lake Sunapee region as well as the Upper Valley. They have played at several area churches, graduations and holiday parties. The group has entertained the elderly at assisted living facilities and all ages at Whipple Hall in New London, the Lebanon Opera House and the Dartmouth-Hitchcock Medical Center. The WCA’s fall concert series will continue on October 22 with Bob McCarthy. Well known in the New Hampshire music and folk scene, Bob McCarthy is a songwriter, composer, guitarist, mandolinist, and vocalist. The third and final concert will be held on November 19 when Ed For A Day plays rock ’n’ roll. This entry was posted in WCA, WCA Events, WCA Programs and tagged Fall Concert Series, Lake Sunapee Flute Choir, Wilmot by admin. Bookmark the permalink.